Unlike most modern sign codes which attempt to regulate on-premises signs on the basis of police powers, Urban Design Associates has drafted this municipal sign code for the Sign Research Foundation, which is based on the best available transportation planning and engineering research. 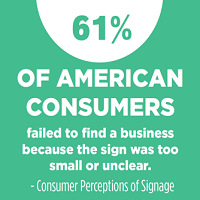 This evidence-based approach to regulation seeks to ensure that signs, as commercial speech, are afforded some guaranteed constitutional protections. 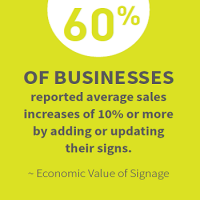 This report begins with a discussion of the legal issues fundamental to the regulation of on-premise commercial signs. 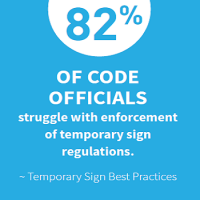 Next, the report describes the technical research related to issues of the legibility of on-premise signs. 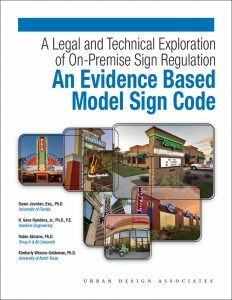 The third section of this report features an evidence-based model sign code, crafted to reflect the identified legal and technical issues.